The electrifying behind-the-scenes story of the fall of Enron, the high-flying energy company once touted as the poster child of the New Economy. Power Failure is the electrifying behind-the-scenes story of the collapse of Enron, the high-flying gas and energy company touted as the poster child of the New Economy that, in its hubris, had aspired to be “The World’s Leading Company,” and had briefly been the seventh largest corporation in America. Written by prizewinning journalist Mimi Swartz, and substantially based on the never-before-published revelations of former Enron vice-president Sherron Watkins, as well as hundreds of other interviews, Power Failure shows the human face beyond the greed, arrogance, and raw ambition that fueled the company’s meteoric rise in the late 1990s. At the dawn of the new century, Ken Lay’s and Jeff Skilling's faces graced the covers of business magazines, and Enron’s money oiled the political machinery behind George W. Bush’s election campaign. But as Wall Street analysts sang Enron’s praises, and its stock spiraled dizzyingly into the stratosphere, the company’s leaders were madly scrambling to manufacture illusory profits, hide its ballooning debt, and bully Wall Street into buying its fictional accounting and off-balance-sheet investment vehicles. The story of Enron’s fall is a morality tale writ large, performed on a stage with an unforgettable array of props and side plots, from parking lots overflowing with Boxsters and BMWs to hot-house office affairs and executive tantrums. An unprecedented chronicle of Enron’s shocking collapse, Power Failure should take its place alongside the classics of previous decades – Barbarians at the Gate and Liar’s Poker – as one of the cautionary tales of our times. 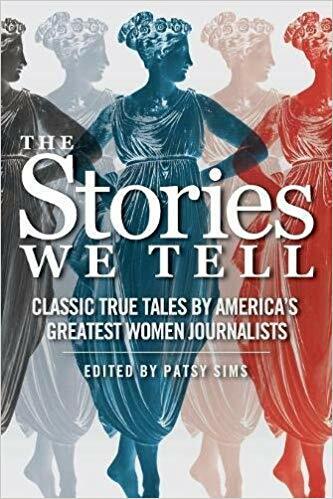 The Stories We Tell celebrates the work of twenty women who have made major contributions to the cannon of American magazine writing. While each has her own style, the women in these pages share the attributes of all good writers: meticulous research and reporting, attention to detail, a talent for choosing the perfect word. Above all, they are astute observers and sticklers for accuracy. Over the years, they have been both prolific and versatile, writing about a wide range of topics, including Joan Didion’s landmark story about a suburban California woman convicted of burning her husband to death in their family Volkswagen, Susan Orlean’s profile of a female bullfighter, Lillian Ross’s stylish Talk of the Town pieces, Janet Malcolm’s profile of the brilliant young pianist Yuja Wang, Gloria Steinem’s memorable piece about Jackie Kennedy after the death of her husband, President John F. Kennedy, and Robin Marantz Henig’s poignant account of the determination of one Alzheimer’s victim to end her life on her own terms. The Stories We Tell is part of The Sager Group’s Women in Journalism series, which honors the contributions women have made (and continue to make) to the evolution of graceful literary reportage. Constance Hale, who teaches writing and editing at Harvard University and the University of California at Berkeley, has listed The Stories We Tell first on her list of Anthologies of Narrative Journalism. Elizabeth Kaye, author of Lifeboat No. 8.